This past weekend I got to celebrate my best friends Bachelorette party and shower. I had an amazing time!! 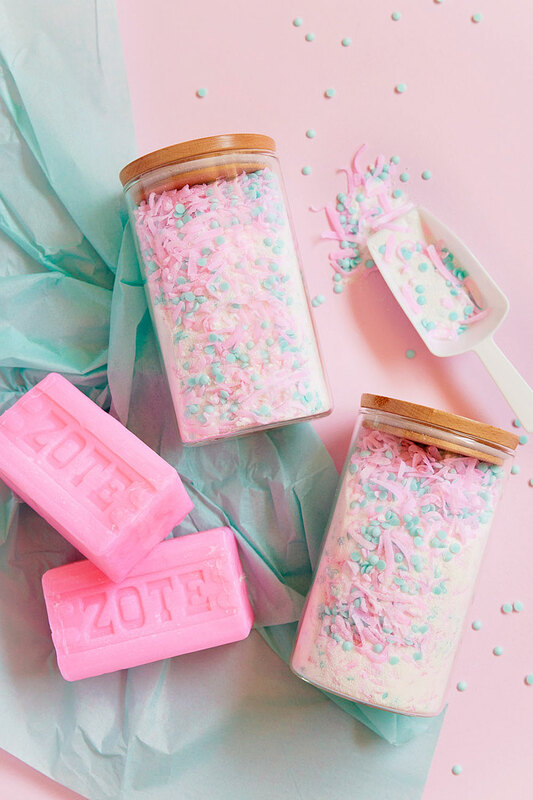 When she asked me to be her matron of honor my first thought was “oh goody, I get to throw her a shower” ha ha cause well, if you follow my blog you know I LOVE throwing parties! Since the whole weekend took place in Laguna Beach, that meant the shower was going to be held at a restaurant which limits the decor to just the table. 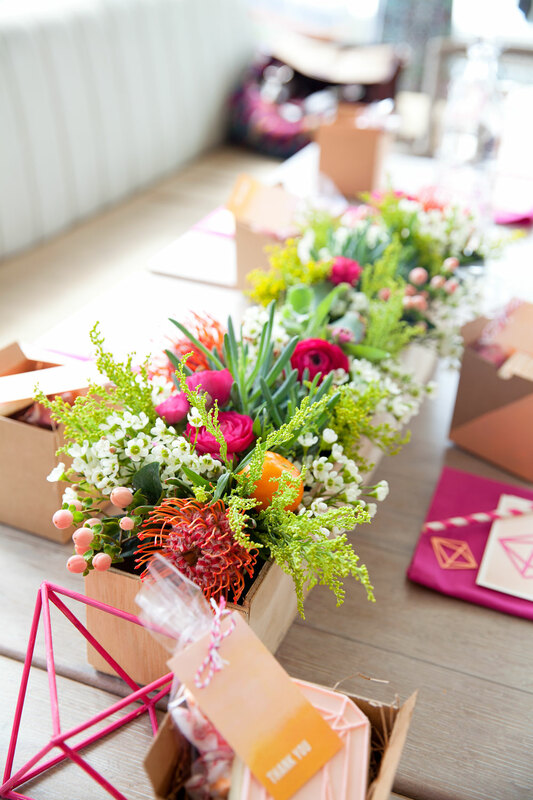 But with some flowers and colorful themed cards from minted it all came together perfectly! 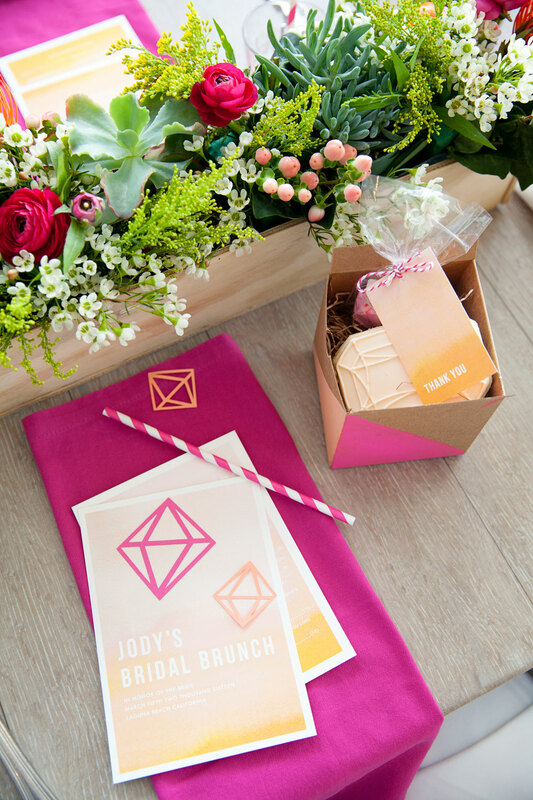 So here are some fun ideas for a bridal shower brunch DIY.When planning any party I have to start with a theme of some sort, or my mind goes all over the place. My friend decided on a geo themed party with bright colors, which I was VERY excited about. I have a small obsession with bright crazy colors if you can’t tell! 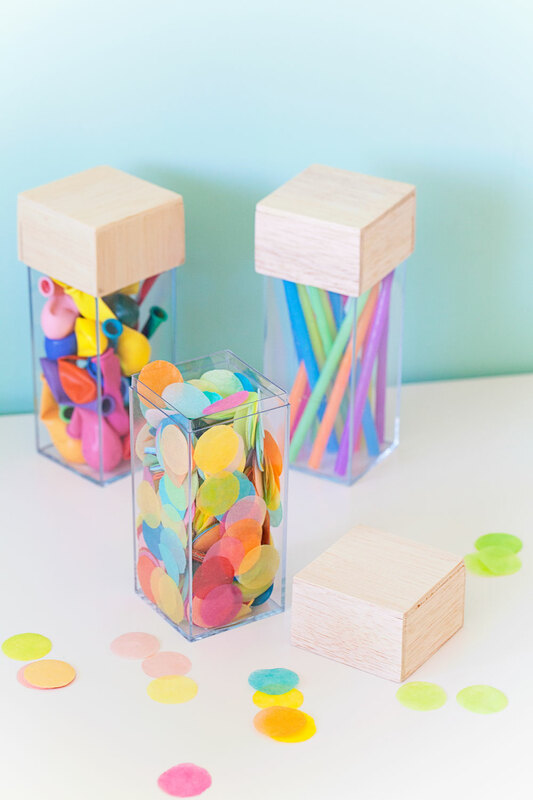 I started all the planning with the invites, table games and accessories and of course I turned to my VERY favorite place…MINTED! 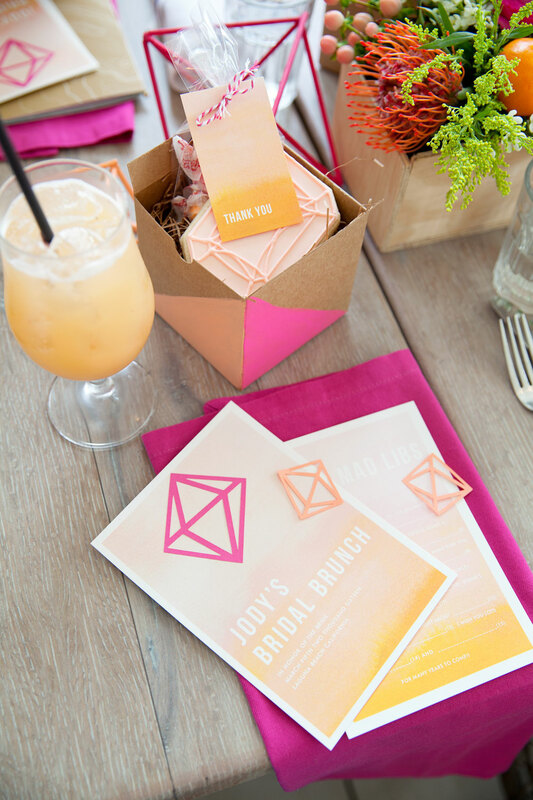 I picked out these wedding invitations because I just fell in love with the ombre look and color combination. 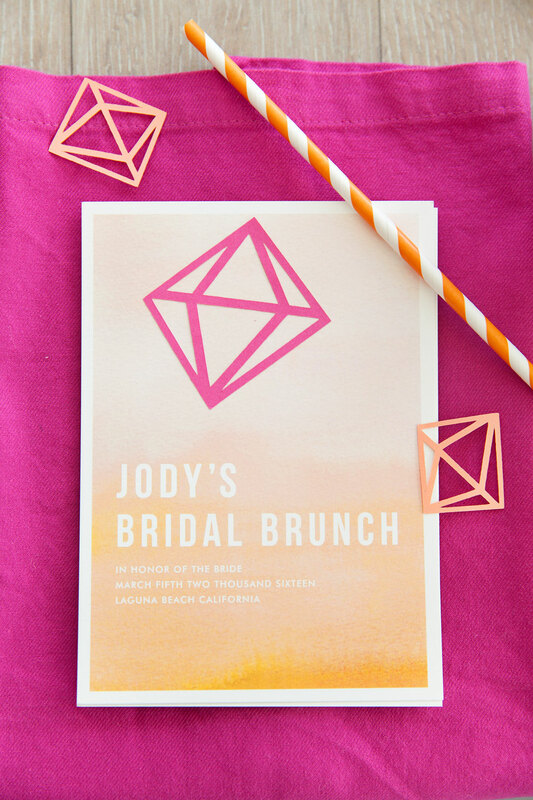 My other reason I LOVE using minted, is their invitations, menu’s, etc are so simple to customize! 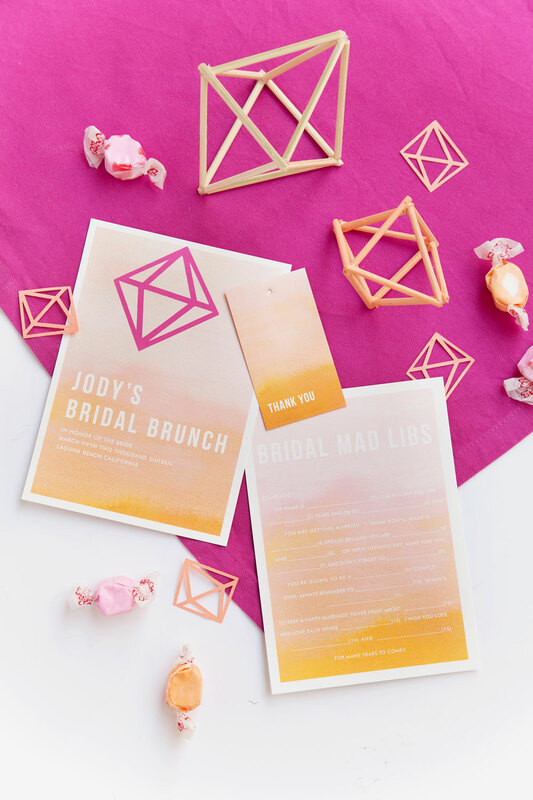 I changed the wedding invite to a shower invitation and the matching menu card to a fun Bridal Mad Libs game. 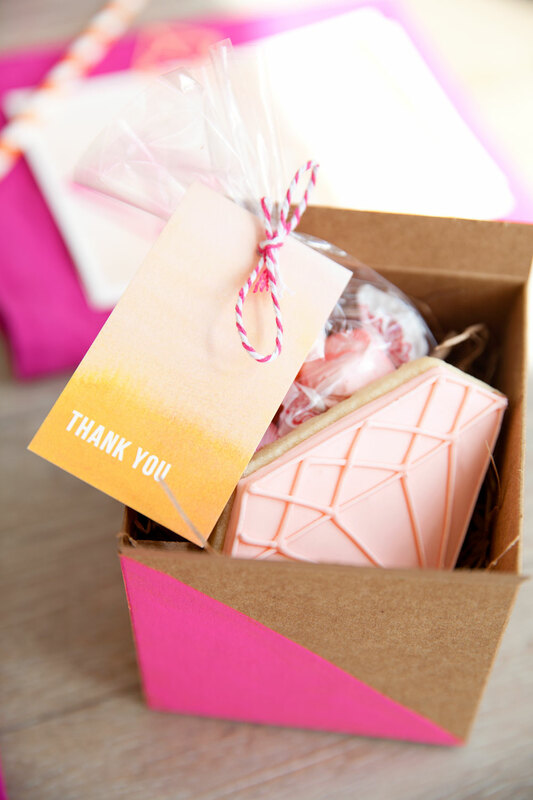 I added some fun thank you tags to some bags of candy and a cute cookie as gifts for each guest. 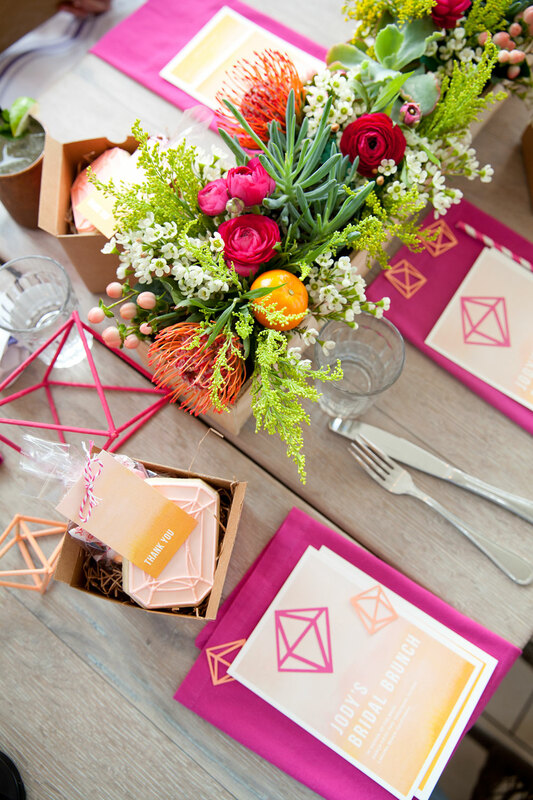 I cut out some Geo shapes to add as cute confetti around the table, and a larger geo shape that I glued onto the invite to help tie everything together. 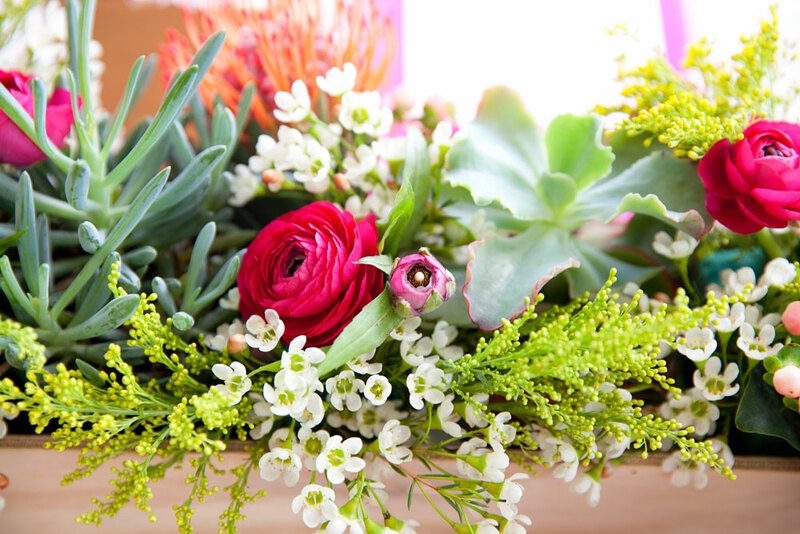 Flowers: I saw these flowers from here and KNEW they were just what I wanted. 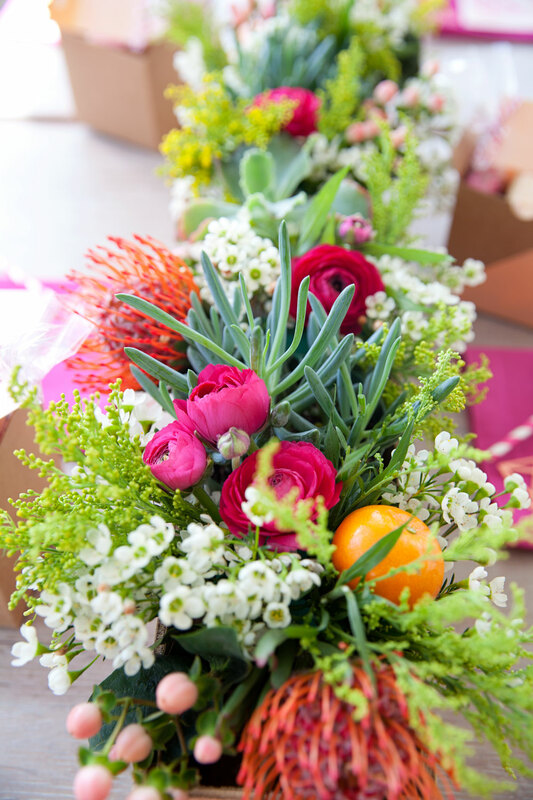 I went to the LA flower district with my friend Rad and Happy and picked out similar flowers. 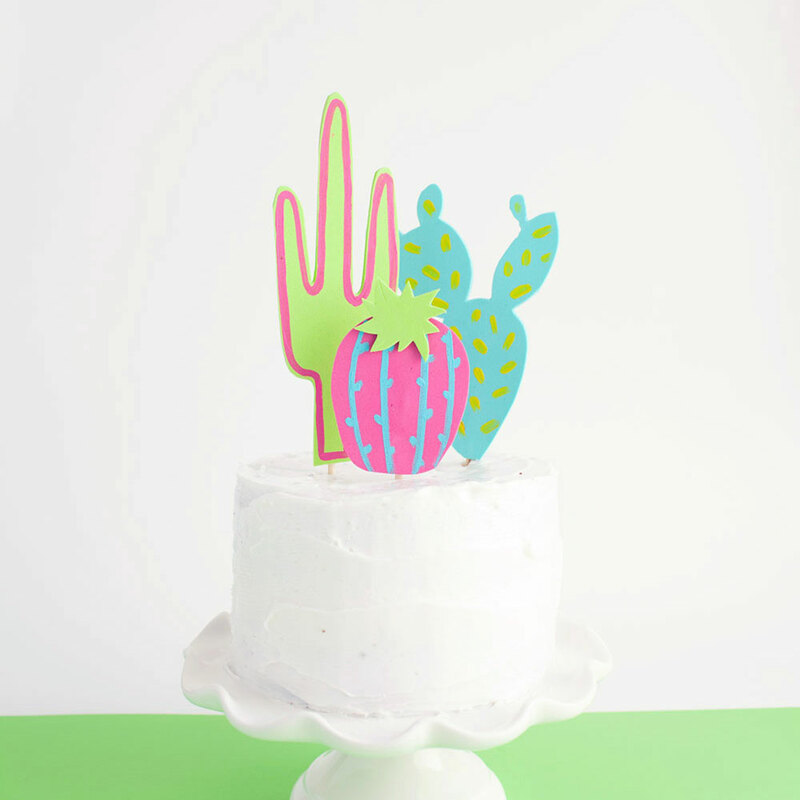 I used some succulents and wet foam to make the arrangements. 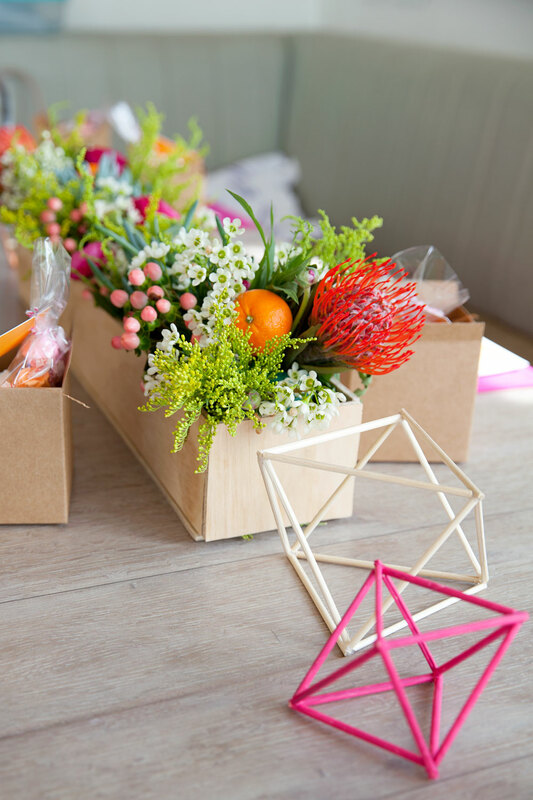 Flower Box: I made them from a plank of wood from home depot using this tutorial, I just adjusted the measurements and made the boxes long and short. 3 1/2 inches high, 4 inches wide on the ends and 24 inches long. 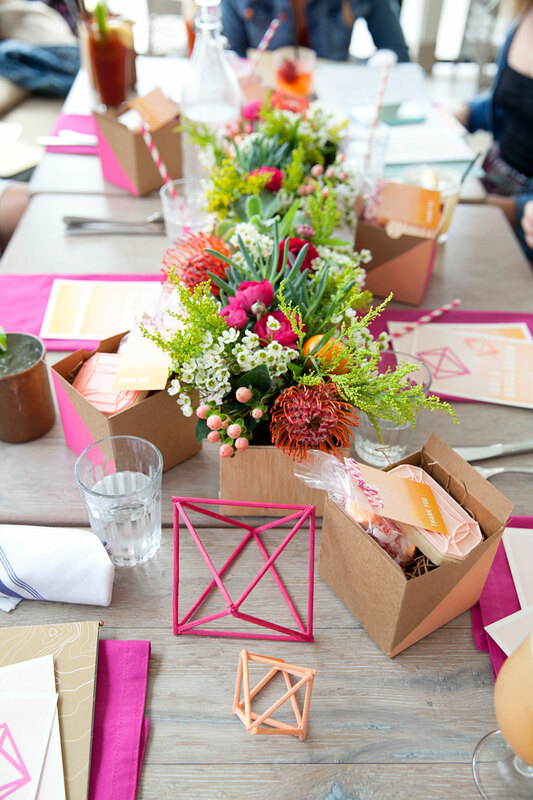 Bright Pink Napkins: These are from THIS party (can you tell I am into pink and orange?? ), but the napkins are from World Market. Gift Boxes: I bought some brown 4in square boxes from Michaels, painted each corner and stuffed with filler. I bought some salt water taffy with similar colors and put them into plastic bags. The cookies were made by my fabulous friend Jana Oberan. Geo Shapes: These I made with wood skewers from the grocery store. Glued them into diamond shapes and painted a few coordinating colors. 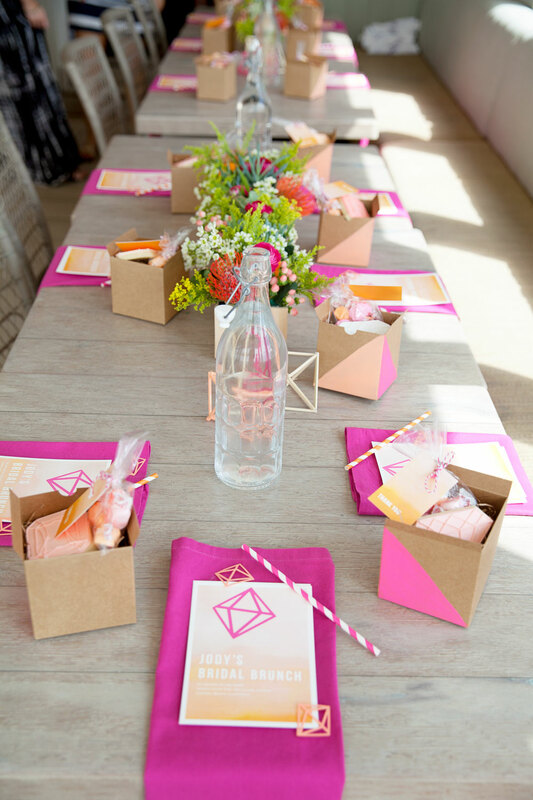 This is such a fun and bright party setup! I love all of the details! This is the freshest, most scrumptious shower ever, with really affordable components and delicious colors! I’m so hungry + happy now I could eat flowers! 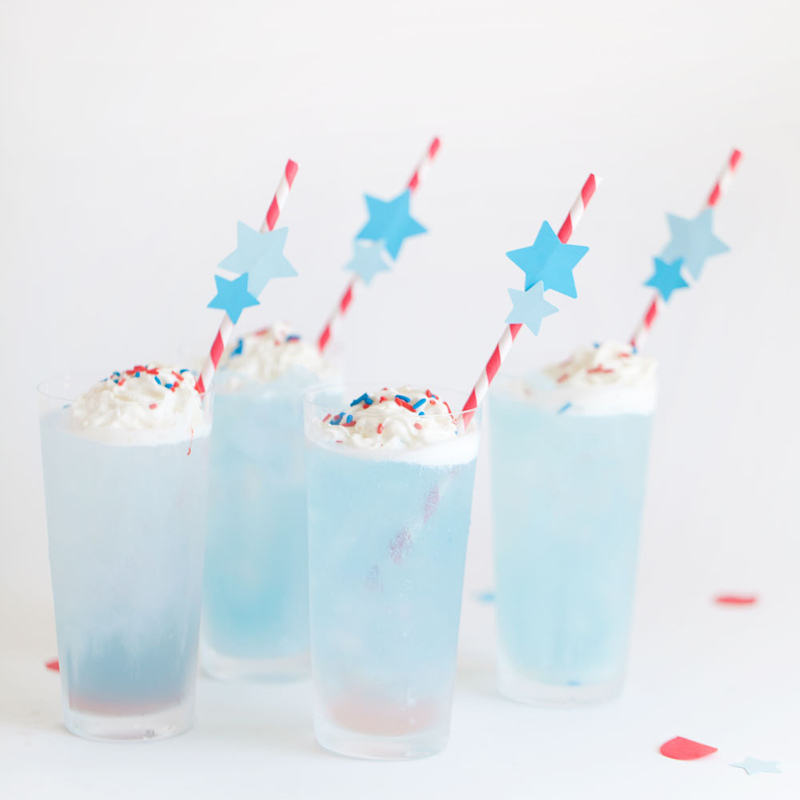 Back right up. This is GORGEOUS. 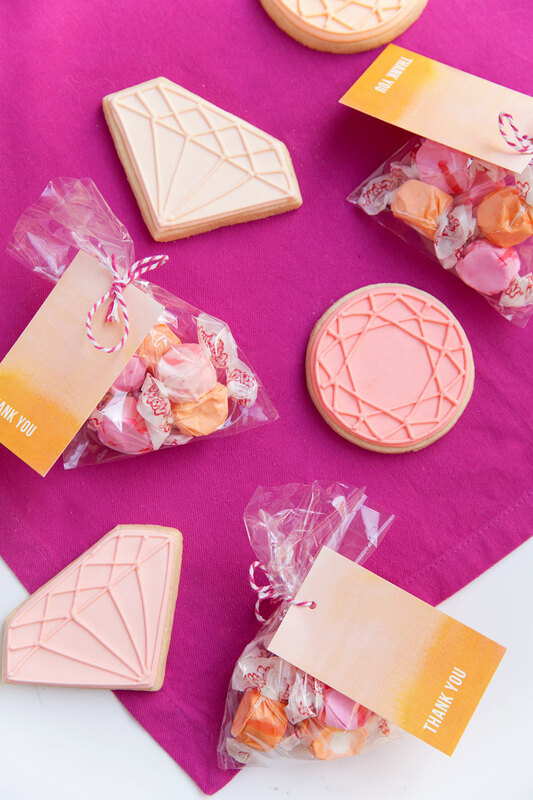 Those gemstone cookies, the flowers, the invites – it’s love! Ugh i know right! Why do flowers have to die ha ha I wanted to keep them forever!